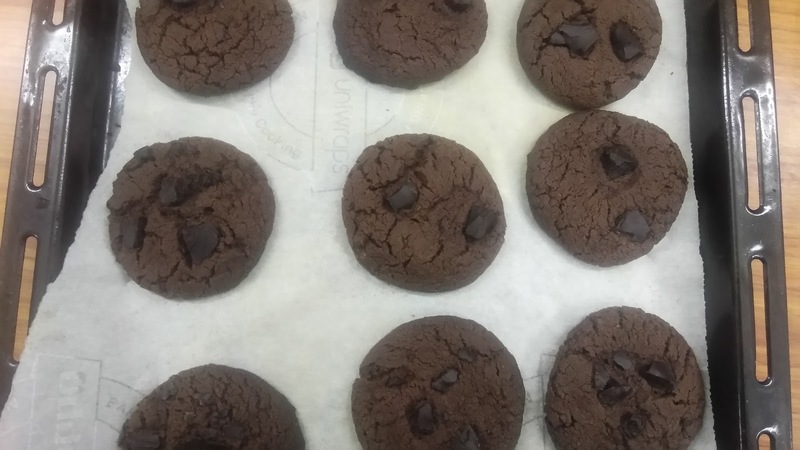 These chocolate cookies are full of chocolate indulgence. Previously I made chocolate chip cookies with chewy and soft texture. 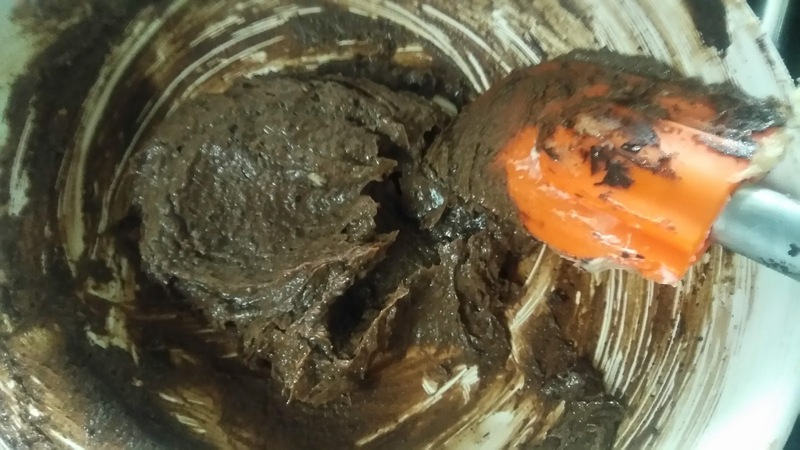 This time I tried making with melted dark chocolate. They taste super yum and have little crunchy and little soft texture. The best thing as always is it's made with whole wheat flour. 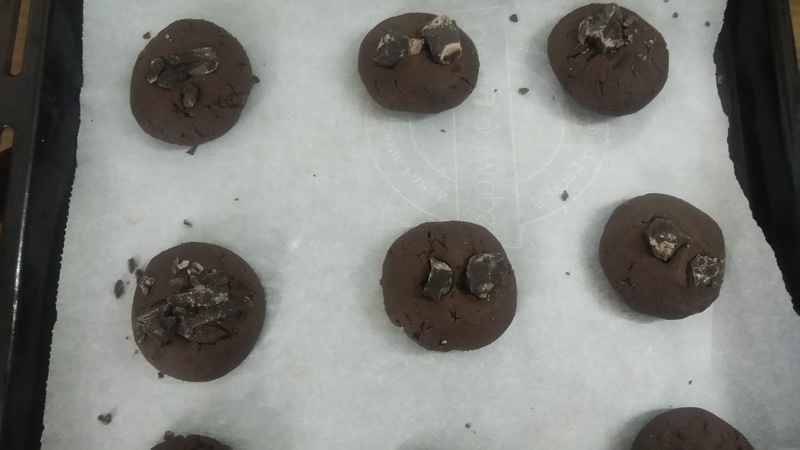 Do try and enjoy these tasty and easy to make chocolate cookies. 1. 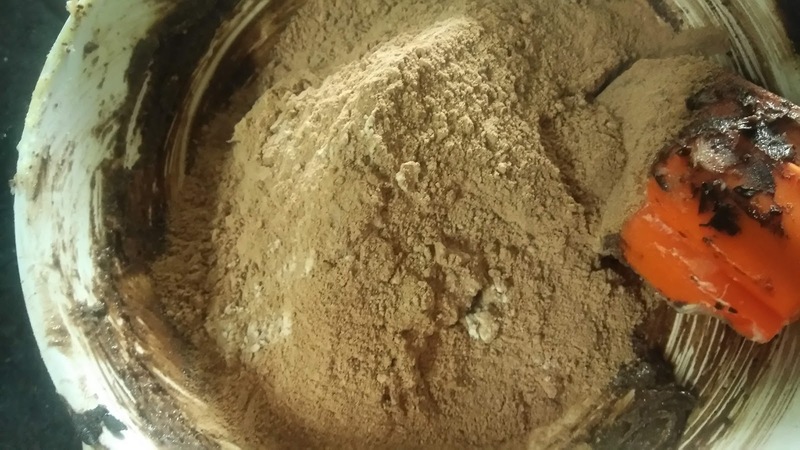 Sift together flour, cocoa powder and baking soda. 2. 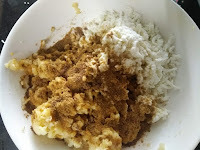 In a separate bowl, beat together sugar and butter till light and creamy. Add melted chocolate to it. 3. 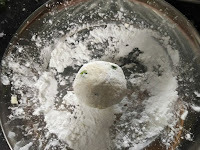 Add sifted flour. Mix well. 4. 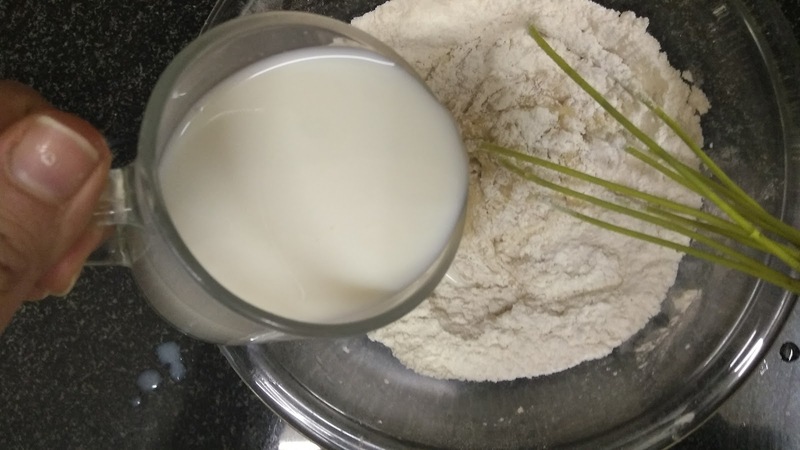 If the dough is too dry and you are not able to make dough add milk and combine. I didn't use milk. 6. Make balls, flatten it between your palm. Top with some chopped chocolate. 7. Bake in preheated oven at 170°C for 10 minutes. 8. Let it cool completely on rack. 9. Enjoy these whole wheat soft and chewy cookies with a glass of milk. 1. 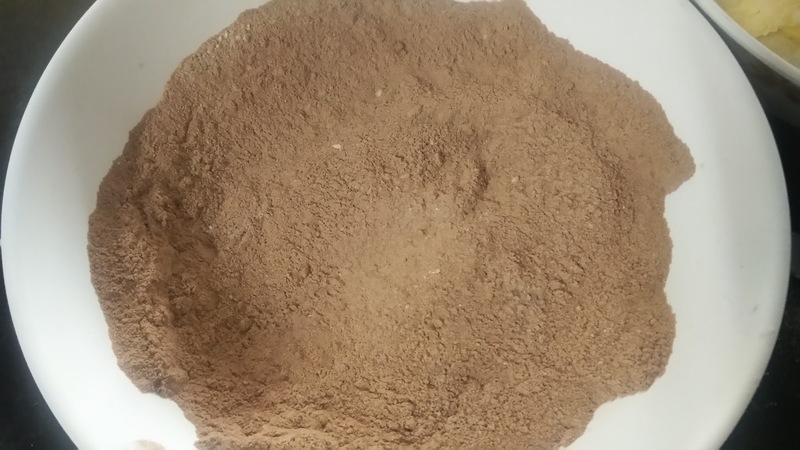 Sift together flour, cocoa powder and soda. 2. Beat together sugar and butter till creamy and light. 6. Combine to make a dough. 7. Make balls and flatten them between your palm. 8. 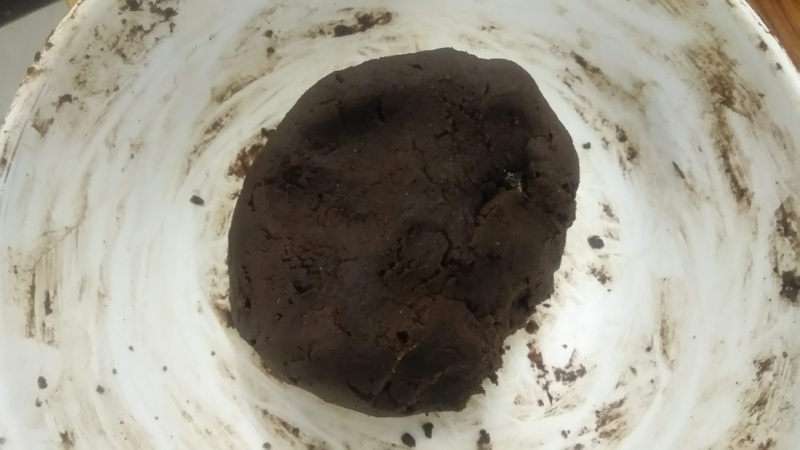 Bake at 170°C for 10 minutes. 9. Enjoy with warm glass of milk. 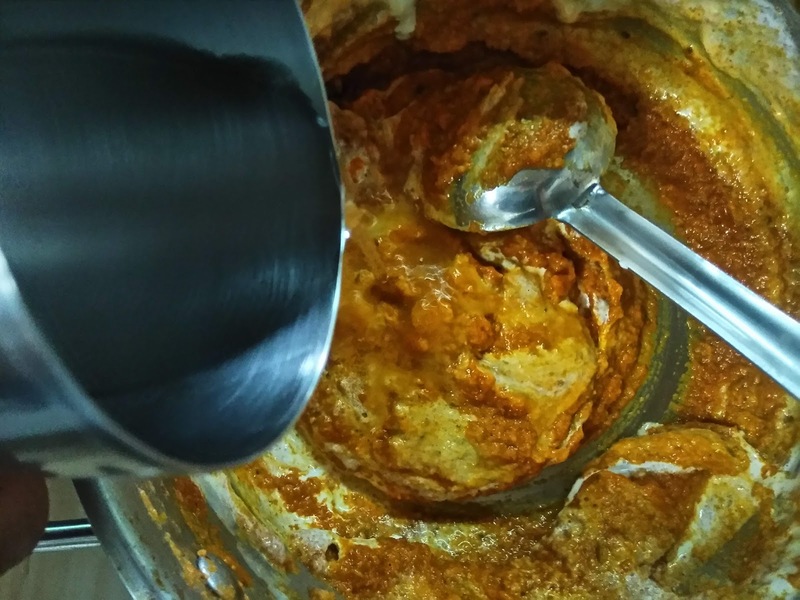 Malai kofta is a popular as well as most sought after vegetarian Indian dish in restaurants. 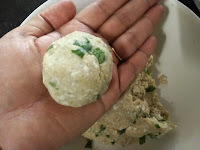 malai means cream and kofta are fried dumpling balls. They are made up of mashed potatoes and paneer. 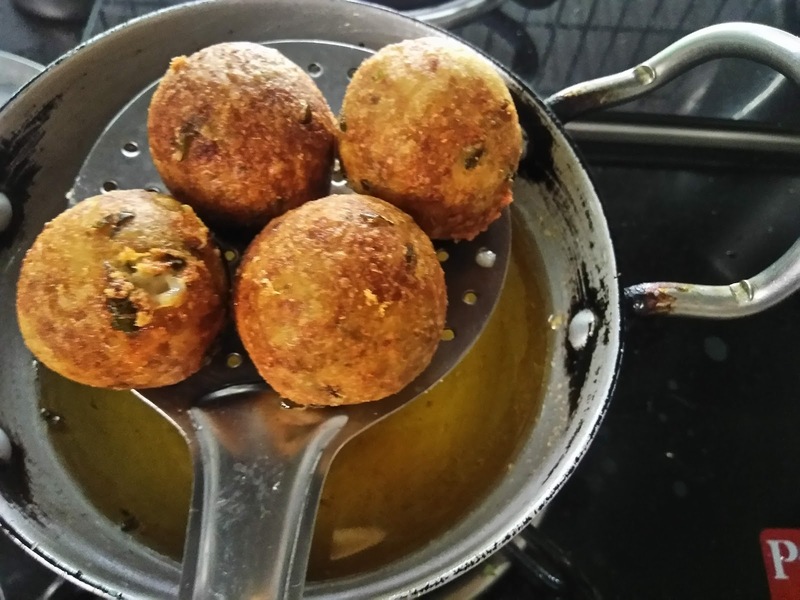 This oval and crispy koftas are generally stuffed with dry-fruits but this time giving it a different touch with cheese filling. 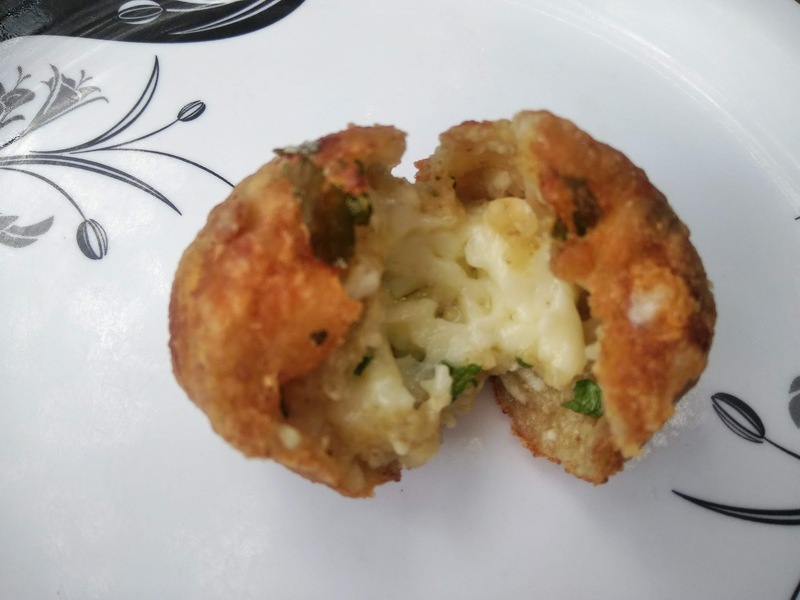 This cheese malai kfota makes it favorite among kids. 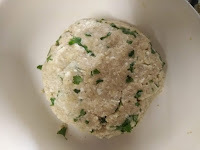 You can even try this different version of kofta during together and parties. I make many varieties of koftas like regular malai kofta, spinach paneer kofta, and paneer stuffed kofta. 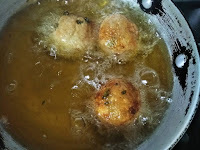 You can find the recipes of these koftas by simply clicking on the respective name. 1. Grate boiled potatoes or mash it. 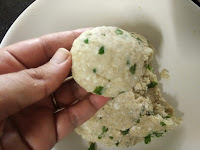 Grate or mash paneer. 2. Add all the ingredients mentioned under Kofta. Mash it well. 3. Using your hands give it Kofta shape. You can make both oval and round shape depending on your preference. 4. 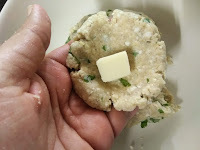 Take a dough dough in your palm, spread it flat and keep grated or sliced cheese cube. Cover it by giving round or oval shape. For melting cheese, add grated cheese in filling and for solid cheese put sliced cube. 5. 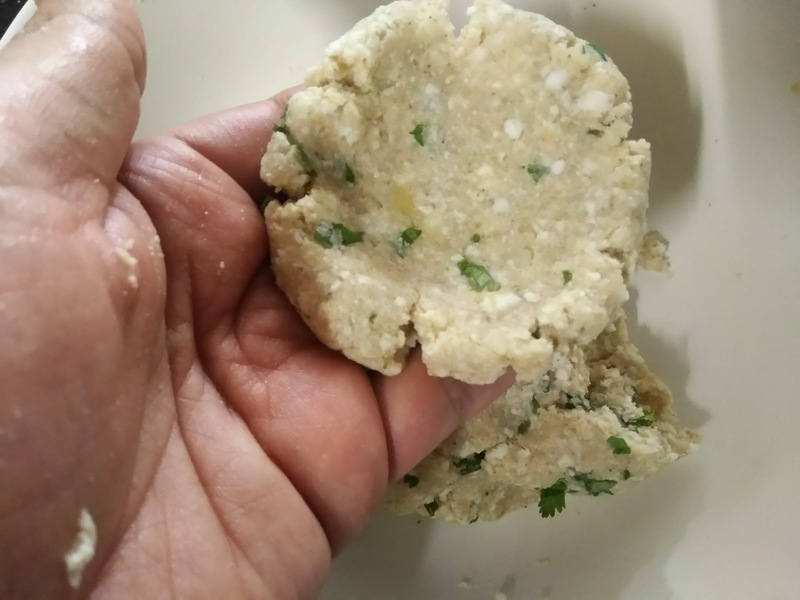 I took out a small amount to check the binding, before frying koftas, drop the little ball to check if it's not breaking, in case, it breaks or slits add 1 more teaspoon of cornflour. 6. 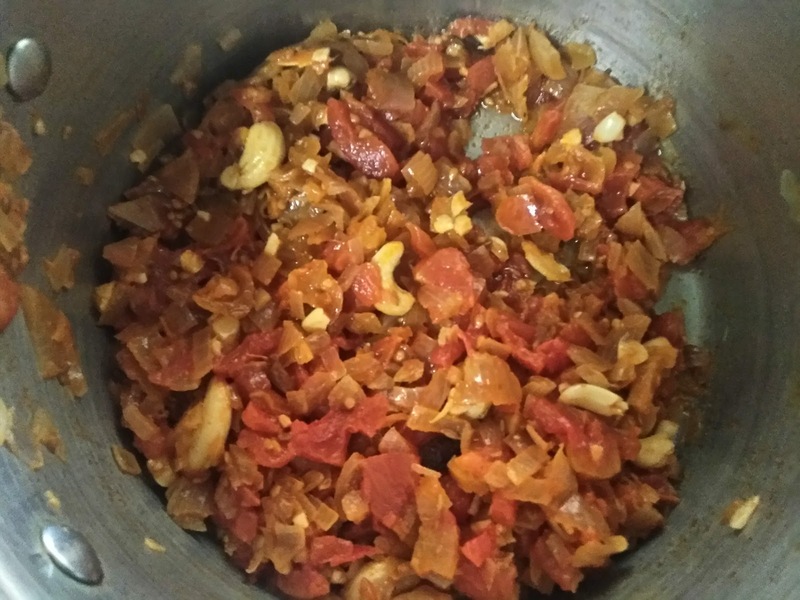 Keep it in fridge without covering for 10-15 minutes or till you prepare gravy. 7. 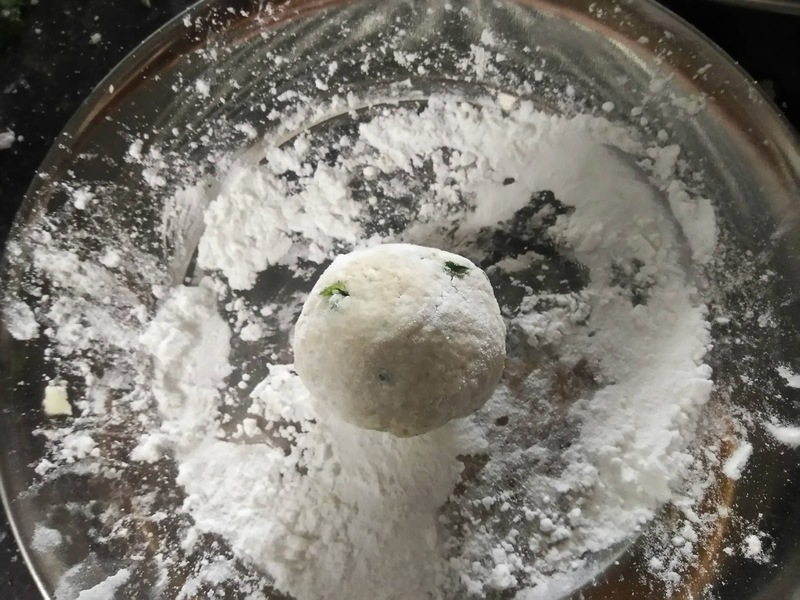 Roll the ball in cornflour, dust the excess flour and deep fry in hot flame. Keep in absorbent paper. Add in gravy just before serving. 1. 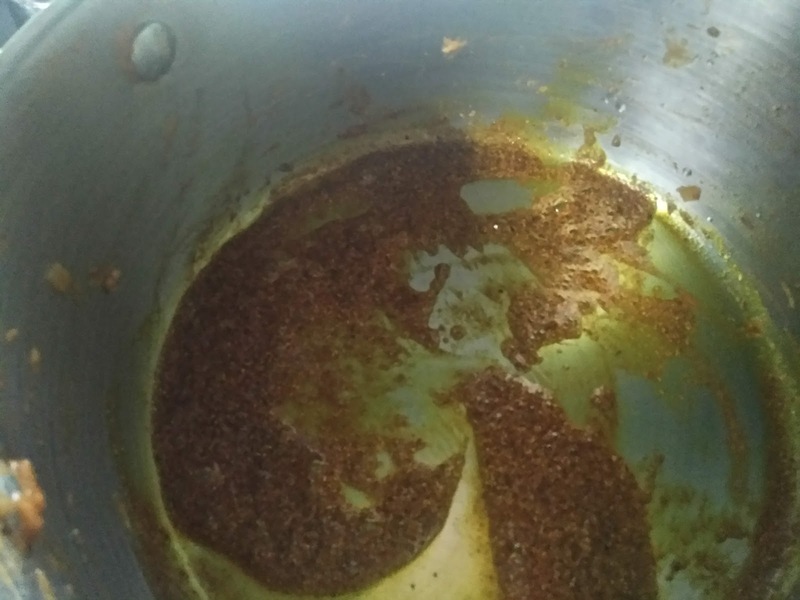 Heat some ghee or oil in pan, add grated jaiphal, crushed javitri, 1/2 inch cinnamon stick and jeera. Saute for a minute. 2. 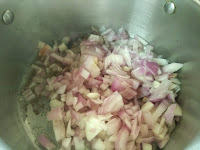 Add chopped onions and let it turn brown. 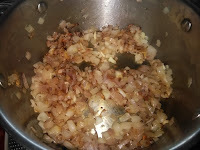 When onions are halfway brown add ginger-garlic paste. 3. 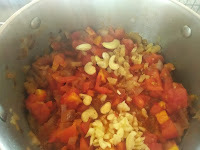 Add roughly chopped tomatoes and handful of cashews and tomato sauce. Add little water if tomatoes are not juicy. I didn't add water as tomatoes were too juicy. Cover with lid and let it cook on low flame till cashews and tomatoes are soft and tender and all the water is absorbed. 4. 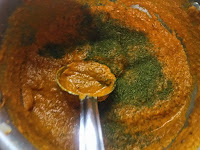 Open the lid once water is absorbed let it come down to room temperature and grind to make a fine paste. 5. 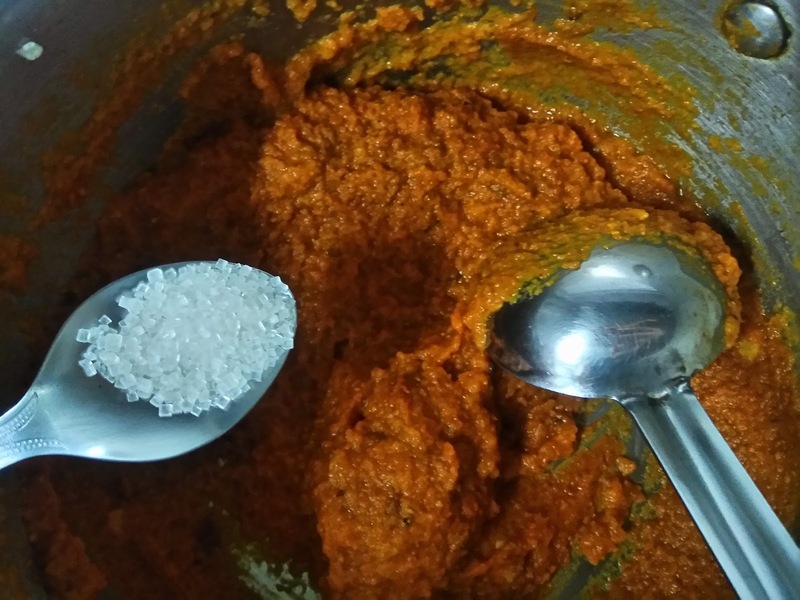 Using same pan, add some ghee, add coriander powder, jeera powder and red chili powder. Saute add little water and add puree. 6. 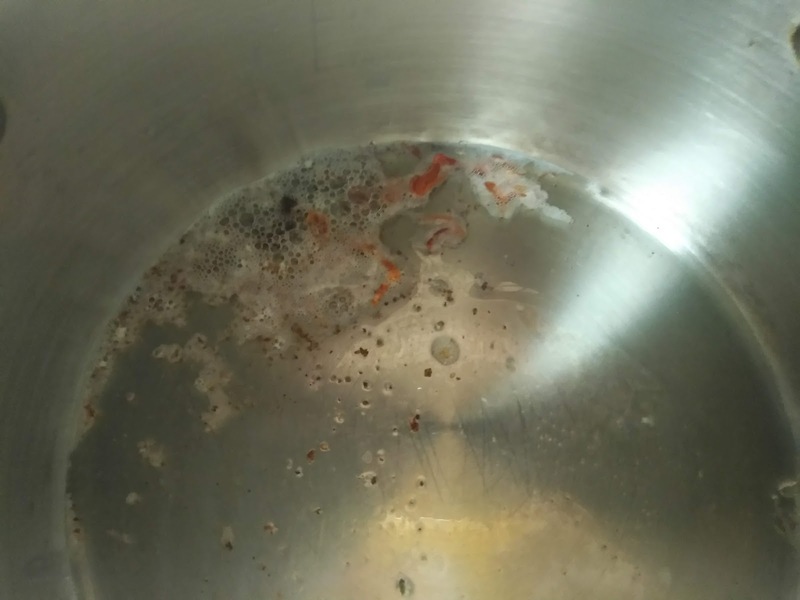 Mix well and saute puree for 5-10 minutes. 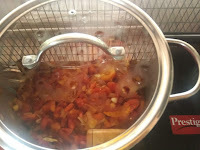 Add around half a cup of water or more if required to get thick flowing consistency. Cook for another 2-3 minutes. 7. Add sugar, cream and roasted crushed kasuri meethi. Mix well. 8. Turn off the flame and keep aside and add koftas just before serving. 1. 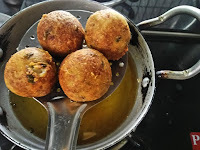 Grate potato and paneer, add all the ingredients mentioned under kofta. Mix well. 2. Keep it in fridge for 15-20 minutes or till you make gravy. 3. Take out from the fridge, take a big scoop of it, roll it flat keeping the center thick and edges little thin. 4. Place grated or sliced cube. 5. Roll it in desired shape. 8. Deep fry in hot oil. Make sure oil is hot. 8. 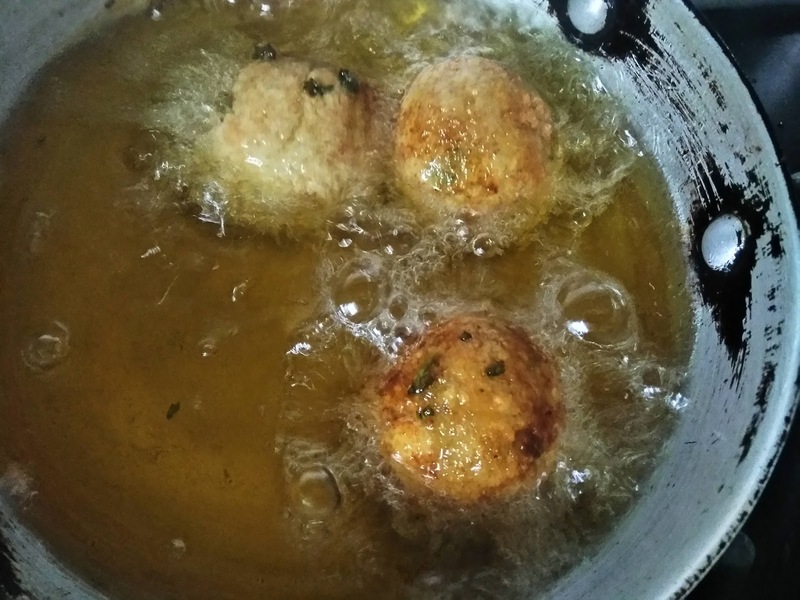 Soft and brown koftas are ready. 9. Look at this cheesy gooey inside. For melting cheese, add grated cheese in filling and for solid cheese put sliced cube. Keep koftas aside. 1. 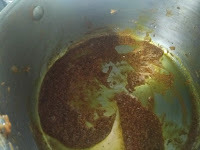 In pan, add ghee or oil, drop in cumin seeds, javitri, jaiphal, and dalchini. 2. Add onions and saute till golden in colour. 3. When onions are halfway brown add ginger-garlic paste. Saute till onions are little more brown. 4. 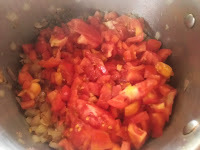 Add roughly chopped tomatoes. 5. 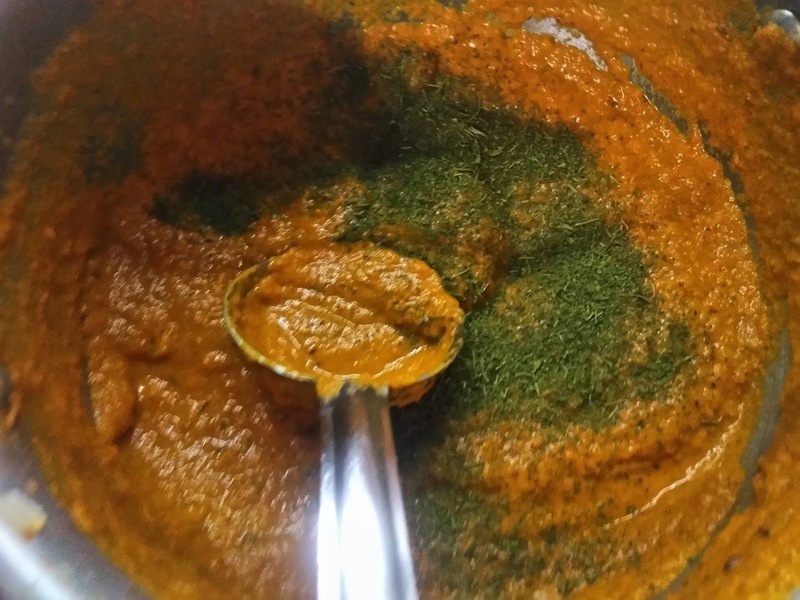 Tomato sauce and cashews. 6. Cover with lid and cook till tomatoes and cashews are soft. If required add little water. 7. 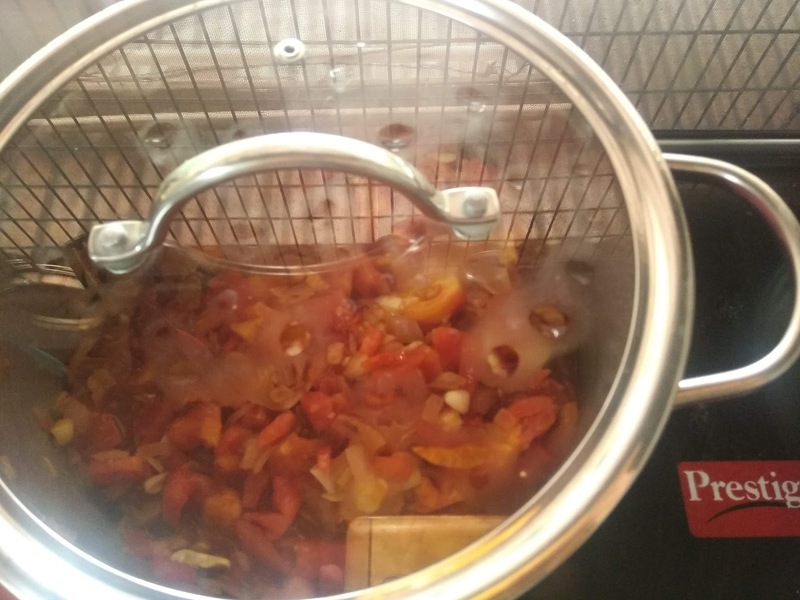 Water is completely absorbed and cashews and tomatoes are cooked. 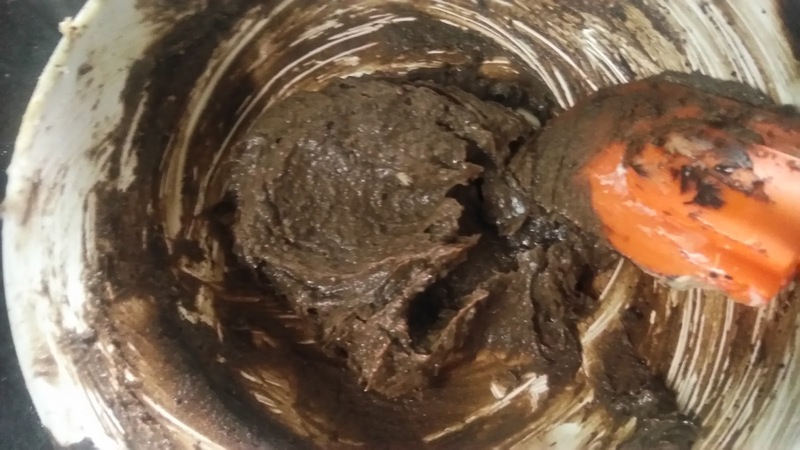 Let it cool down and turn into fine paste. 8. 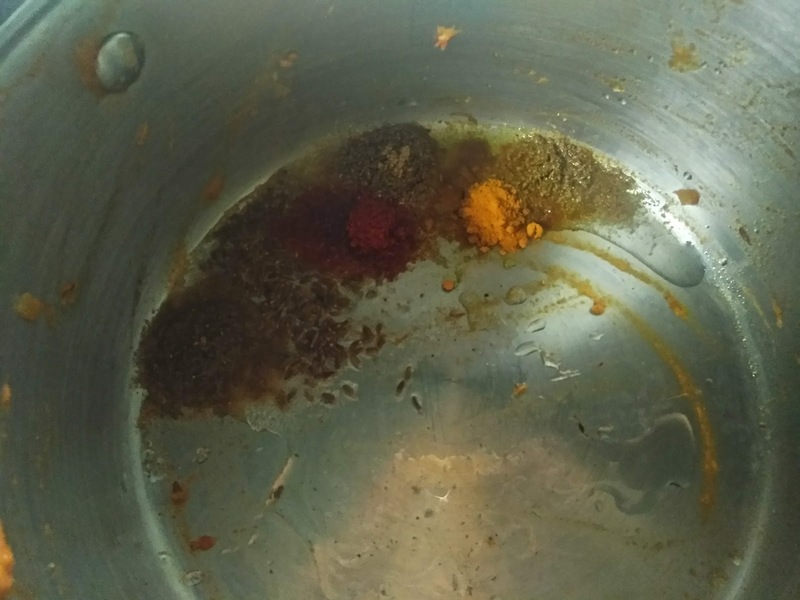 Using same pan, add some more ghee, saute coriander powder, cumin powder, turmeric and chili powder. 9. Add 1/4 cup water, cook for a minute. 10. Add puree. Cook for 1-2 minutes. 12. Cream. 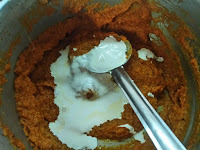 I used fresh cream (malai). 13. Some water to get right consistency gravy. 14. Finally add roasted crushed kasuri meethi. Mix well and turn off the flame. Gravy is ready. 15. 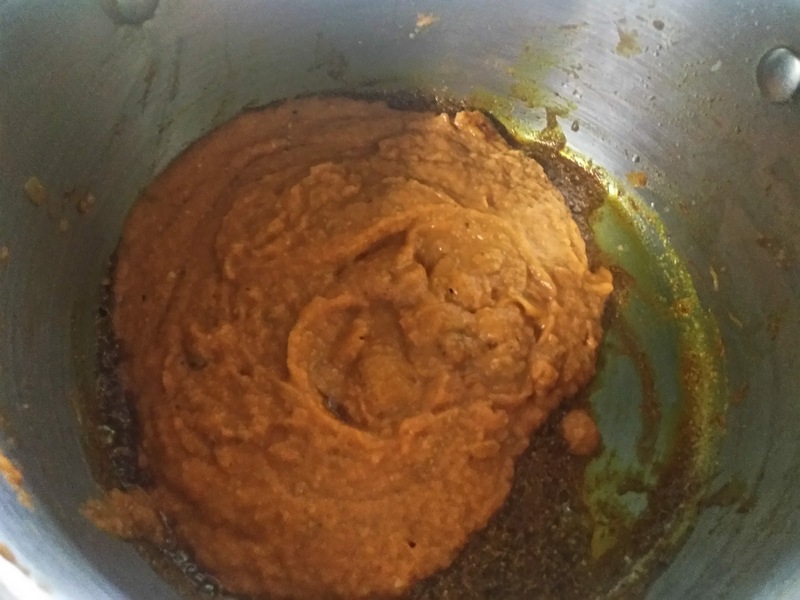 Just before serving pour hot gravy over kofta. Pancake is a traditional old recipe which is a very famous breakfast recipe in European countries. 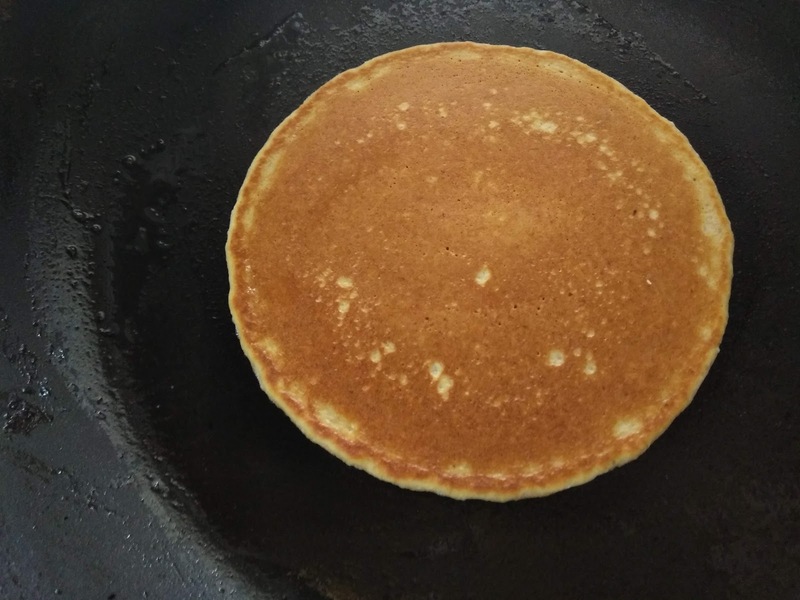 I made that traditional pancake many a times but never found it healthy due to all-purpose flour added in it. I started making this recipe with half of all-purpose flour and half of powdered oats and then finally gave it a try with 100% oats. 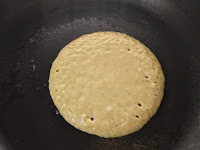 Once or twice I couldn't nailed it that perfect as after trying again and again I realized only one important thing and that is, oats absorb more of liquid due to which the batter consistency becomes thick. To get the right consistency you need to add extra milk. 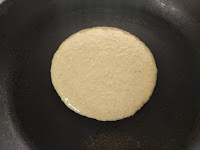 You will realize while making pancakes that after sometime the batter will become thick and oats will absorb all the milk, so do add milk little by little as and when required. 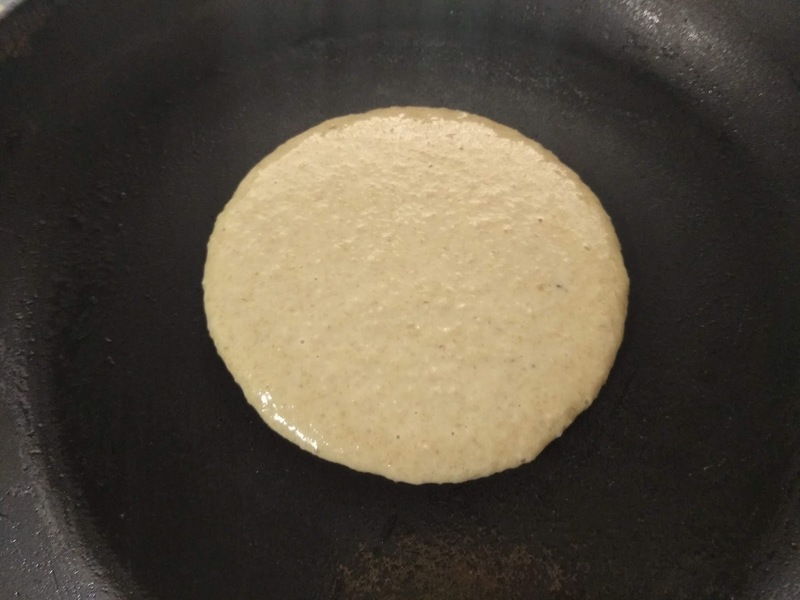 Serve with maple syrup and let kids enjoy this healthy pancake. In a bowl mix together powdered oats, powdered sugar, baking soda and baking powder. Keep aside. Melt butter. 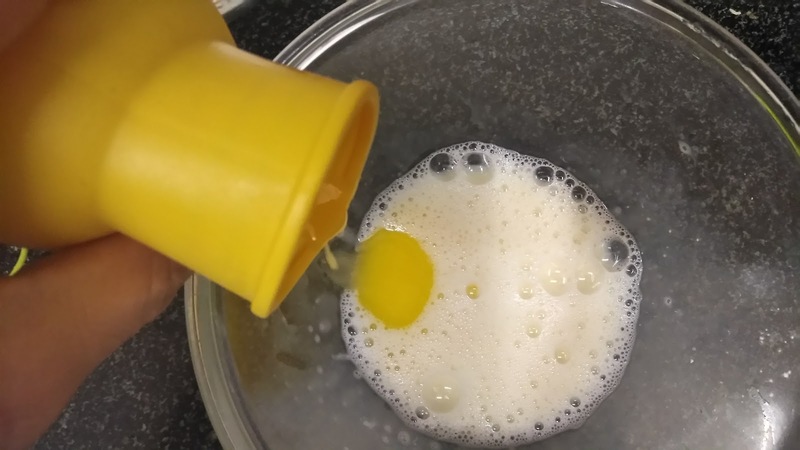 Take another bowl, beat egg till frothy, add melted butter. Now add this mix in flour mix. Add milk little by little whisking batter continuously, making sure no lumps are formed, if possible use whisker. 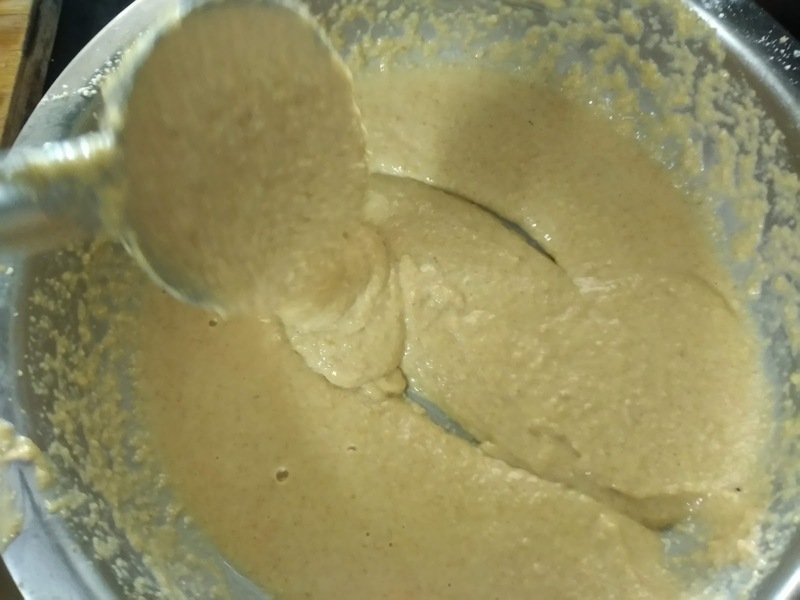 The batter should be thick but flowing as shown in pic below. Heat pan, preferably non-stick. Pour 1/2 tsp oil, clean the pan with tissue paper. Pour ladle full of batter and cook on low to medium flame. Once you see bubbles appearing on the top it means it's cooked and ready to flip. Flip and cook from other side too. 1. 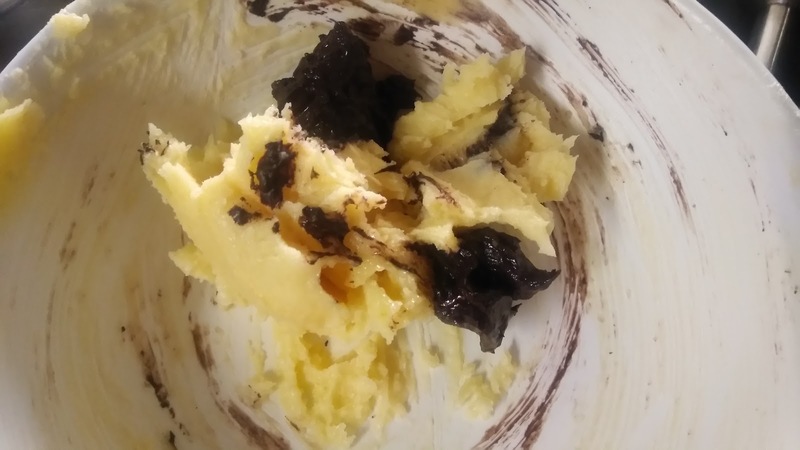 Don't keep batter for too long or it will not give good results. 2. It's very important to note that depending on the quality of oats proportion of milk can vary from 1 cup to 1 1/2 cup. 3. 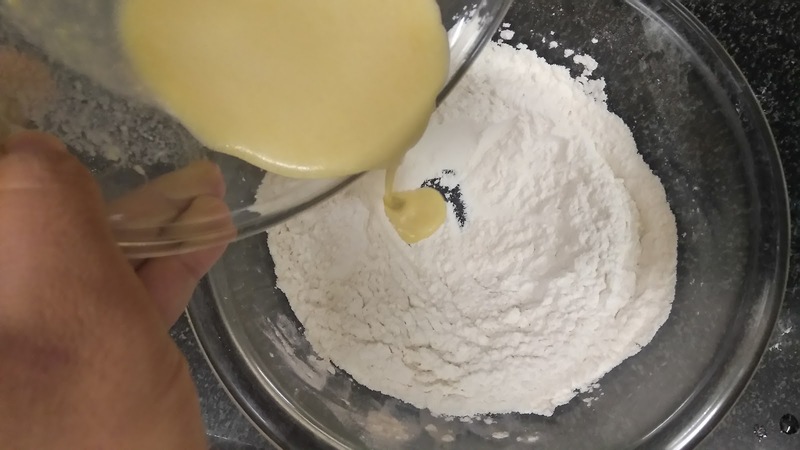 If the batter becomes thick and absorb milk after sometime do add more milk little by little to get right consistency batter. 4. Don't cook on high flame else pancake will burn from outside and will remain raw from inside. 1. 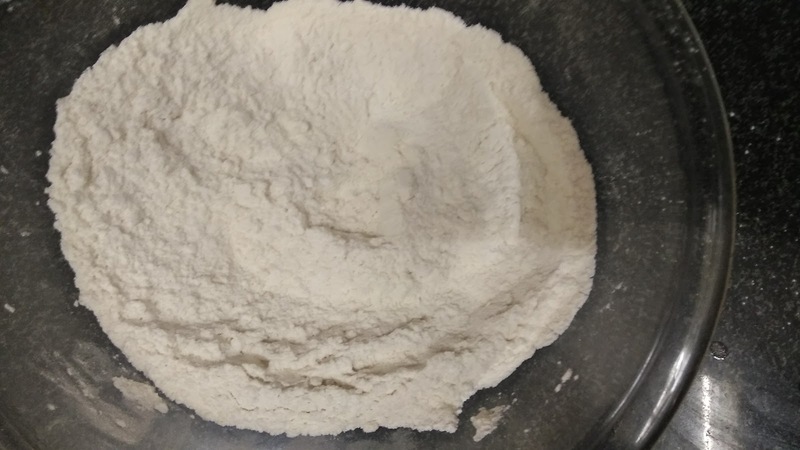 Mix together flour, powdered sugar, baking soda and baking powder. 2. Beat egg, add melted butter. 3. Add in flour mix. 4. Add milk little by little whisking continuously. 10. Serve with maple syrup!